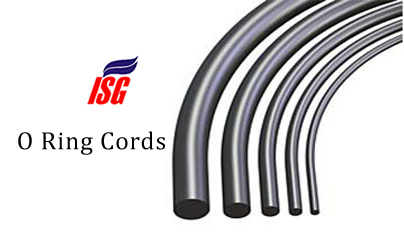 Also known as Acrylonitrile Butadiene Rubber / Buna-N / Nitrile is a copolymer of acrylonitrile & butadiene, in which acrylonitrile content differs from 18% to 50% (more the quantity of nitrile higher will be the resistance, however the flexibility gets lower). 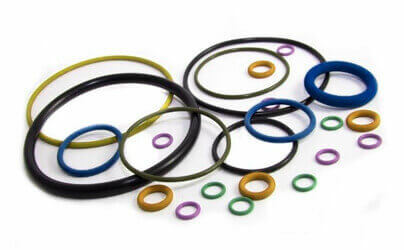 Properties : NBR (Nitrile) rubber has good to excellent resistance to abrasion, tear @ solvent/oils, however it has poor resistance to weathering, sunlight & ozone. Not Compatible : To Ozone, MEK & hydrocarbons with chlorine & nitro contents. Chemical Resistance : Propane, Butane, Petroleum, Mineral Oil, Grease, Diesel Fuel, Fuel Oils,HFA,HFB,HFC Fluids, Dilute Acids, Alkali, Salt Solutions and Water.